The news on television, cable and radio would have you imagining that Los Angeles has gone through a scenario represented in the idiotic movie 2012. But nothing but a little jello shake. 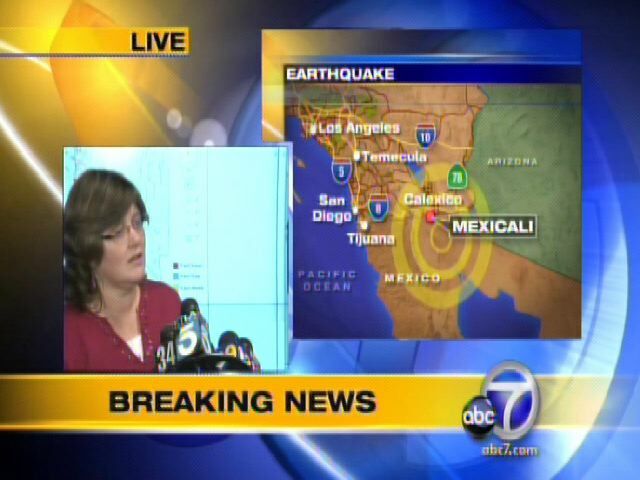 Yes a 7.2 magnitude earthquake struck the Baja California, Mexico border area of Mexicali at 3:40:40PST. I was visiting the Getty Center Museum up off of Sepulveda Blvd, but I felt absolutely nothing! It did cause what are now called “triggered” earthquakes all around Southern California, including a little 4.0 in Santa Monica Bay, near Malibu. But unless we rock and roll, life in this part of the world continues as normal. I’m prepared, with emergency supplies and “Earthquake kits” by my bed and in my car trunk as well as plenty of water. It will happen here, eventually.